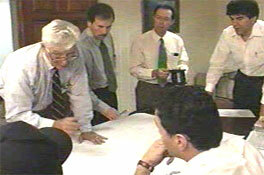 Our product development team works closely with customers to determine their exact needs. We provide front-end engineering for Lean Manufacturing and re-engineering analysis. Our product development processes and experience in plastic, metal and electronic engineering and design, allows for a flawless transition from prototypes to full scale manufacturing. RF-wireless circuits, antennas, and microwave systems. Power conversion and power design. Some past programs involved power systems, medical devices, analog design, EMI and magnetic radiation design and safety issues. 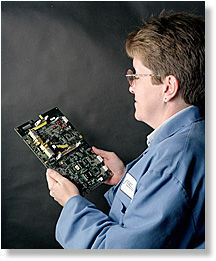 Software, hardware diagnostics & verification, drivers, networks, embedded systems, testing, etc. Integrate customer schematics into PCB layouts. Convert thru-hole programs to surface mount. Develop and design full box-build programs. Plastic injection mold transfer programs. Develop feasibility, prototype & production models. Product development & concurrent engineering. Production planning on schedule and within budget. Networked manufacturing with "real time" data transfer. Computer generated models and/or programs using Pro-E and ProFab software. Quick response on prototypes and initial production runs (1-2 days). Tool transfer program and design support. 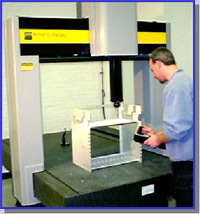 Product verification using fully computerized CMM and Micro-Hites. Finishing operations such as plating, painting through local and proven ISO-9001 certified suppliers.